The B.E. Well Patch applies like a temporary tattoo and is a 1.25 X 1.25-inch square. 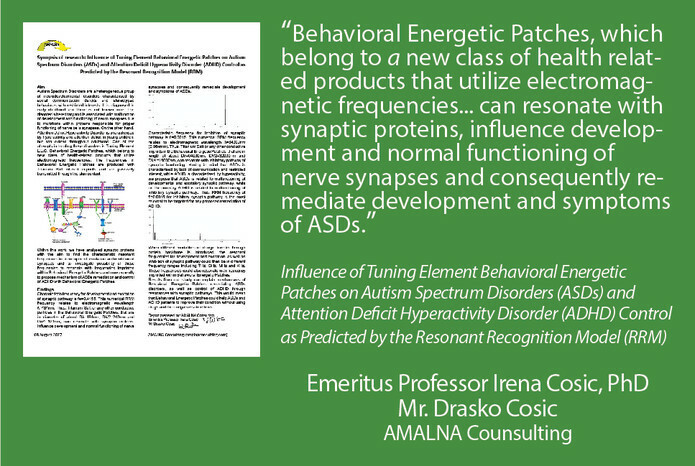 The patch is made of a silicone base infused with Titanium Salt and embedded with a proprietary blend of Extremely Low Passive Electromagnetic Frequencies. 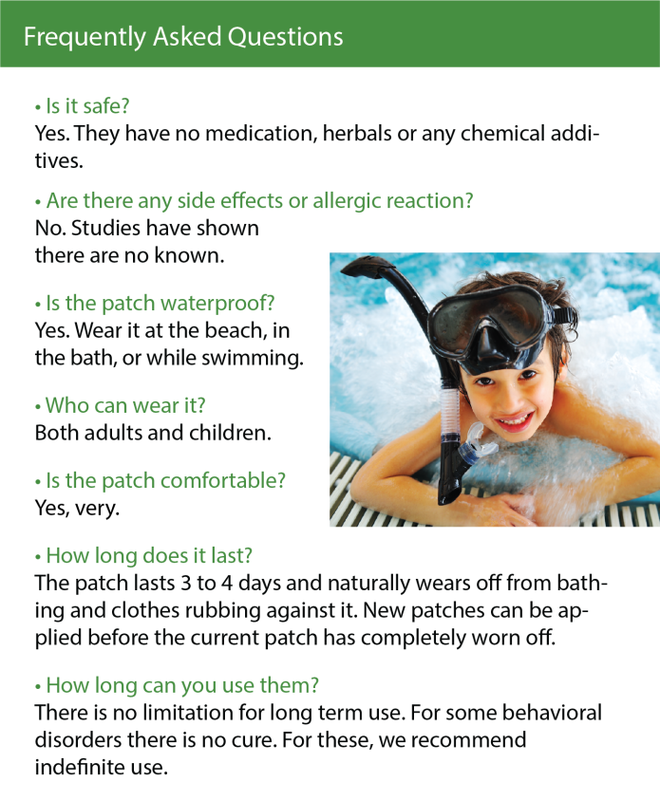 The BE Well Patch is non-invasive and has no medications, herbs, vitamins, chemicals, odor or any other additives. For most people outside of the Nanobioscience field, the use of beneficial frequencies for wellness would be a new concept. 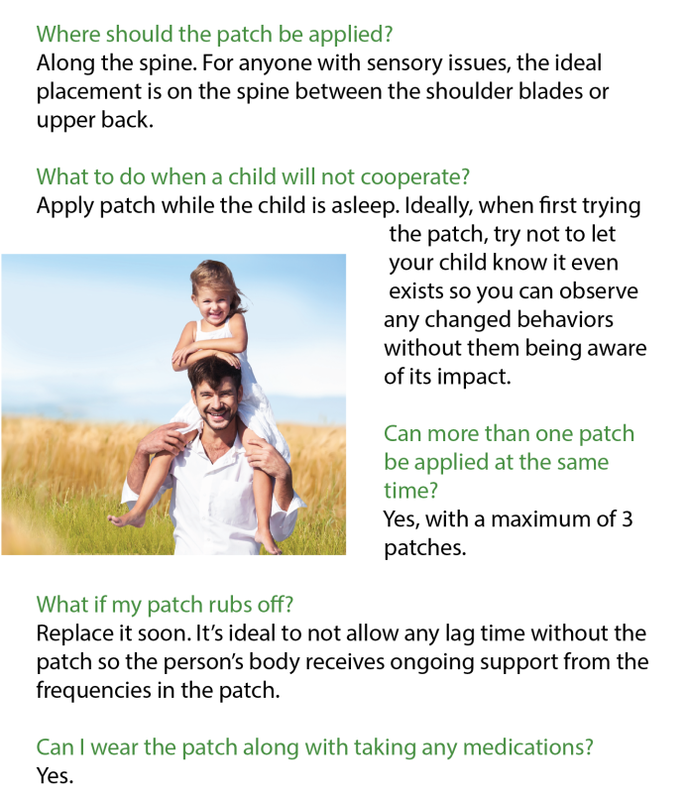 The patch is non-transdermal, meaning nothing physical passes from the patch through the skin. As mentioned, the patch is made of silicone and has “Titanium Salts” which is a term for Titanium powder that is in the patch. This is the material that we’ve infused with a blend of beneficial low-range frequencies (much lower than even AM or FM radio). When the BE Well Patch is placed on a person’s body, their skin acts like a capacitor, and the existing electricity in the human body amplifies the frequencies in the patch. The human body produces 50-90 millivolts of electricity, which serves as the battery for the patch…so everyone wearing the BE Well Patch can receive the benefits of the frequencies. 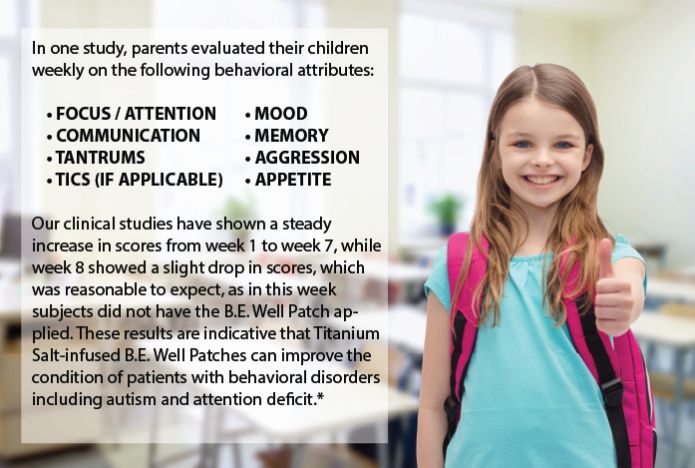 How do frequencies from a BE Well Patch help a person? 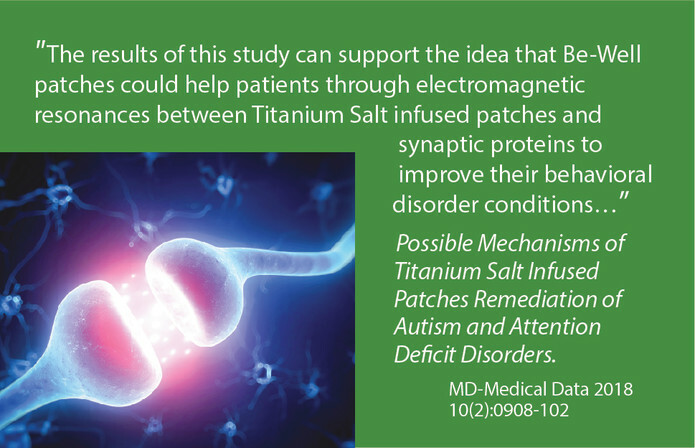 The short answer is that the BE Well Patch helps supports normal cell function throughout the body’s electric system, or as the United States Institutes of Health call the Biofield.